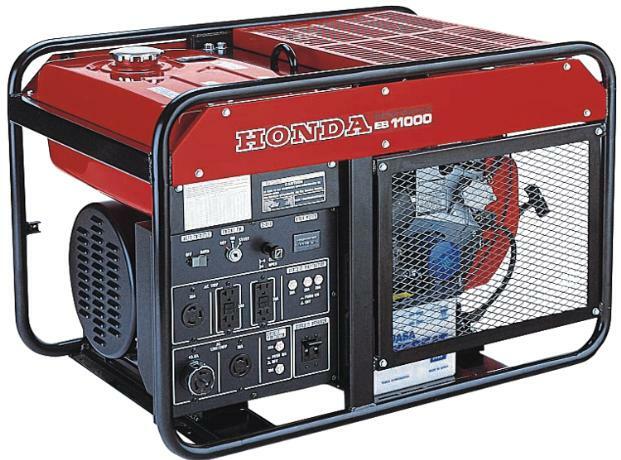 A Honda generator can keep power going when a storm cuts your home’s connection to the grid so you can keep televisions, radios, and phones on to monitor the forecast while keeping a few appliances running for comfort. 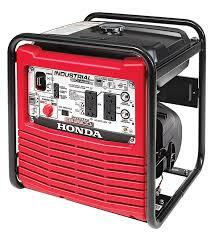 However, getting the generator up and running can be daunting during bad weather. With a little planning, you can make the switch from grid to generator power a lot easier. 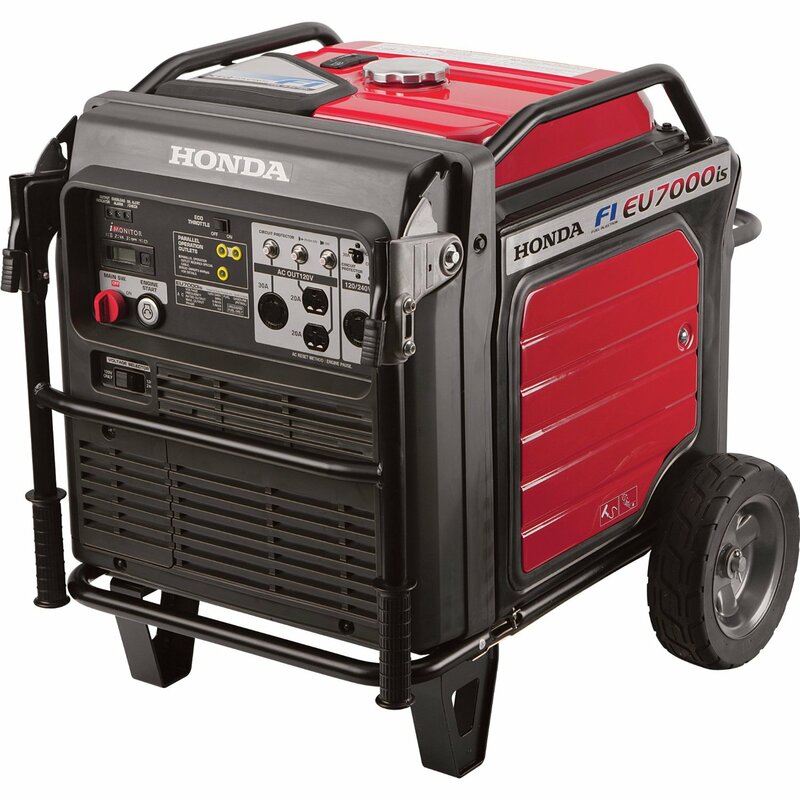 Like any piece of small engine equipment, a generator needs to be kept in a cool, dry place. However, it also needs to be in a place that will be accessible during a storm, letting you position it where it can be used. That means carrying it or rolling it to a place that keeps it at least three feet away from buildings so that carbon monoxide from the exhaust won’t reach lethal concentrations. Make sure you can easily move the generator from its storage spot to its operating spot, taking care of any obstacles that may be in the way. Since you can’t bring your generator into your home, you need a way to get power from it to the appliances you want to use. When shopping for extension cords, make sure to check the amperage: it needs to be at least as high as the maximum amp output of the socket it will be plugged into. 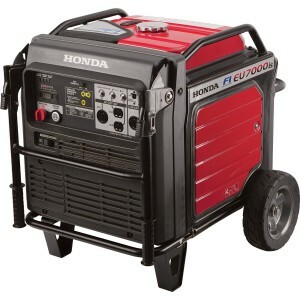 Larger generators include a twist lock outlet. This keeps the cord attached at the generator end when running long distances, but it also requires a special extension cord with the right end. 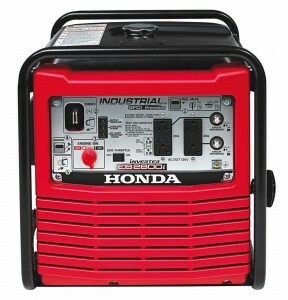 The type of twist lock cord you’ll need will depend on the power mode and attached appliances: all Honda generators can produce 120-volt power, while some have the ability to make 240-volt power for high-demand appliances and can even switch some outlets between 120 and 240-volt output. Cords are available with ends including multiple 120-volt sockets that use power directly, converter cables that turn 240 volts into 120, and 240-volt sockets for high power demand devices like water pumps. 120-volt power is fed through an inverter to get a clean waveform that’s safe for sensitive electric devices, but 240-volt power comes directly from the generator and shouldn’t be used for these devices. The fuel used in your generator should be no more than 30 days old, or 90 days old if it’s been treated with a stabilizer. Instead of storing fuel just for the generator, keep some fuel on hand for the generator and other power equipment including mowers and lawn care tools so it’s used up quickly. 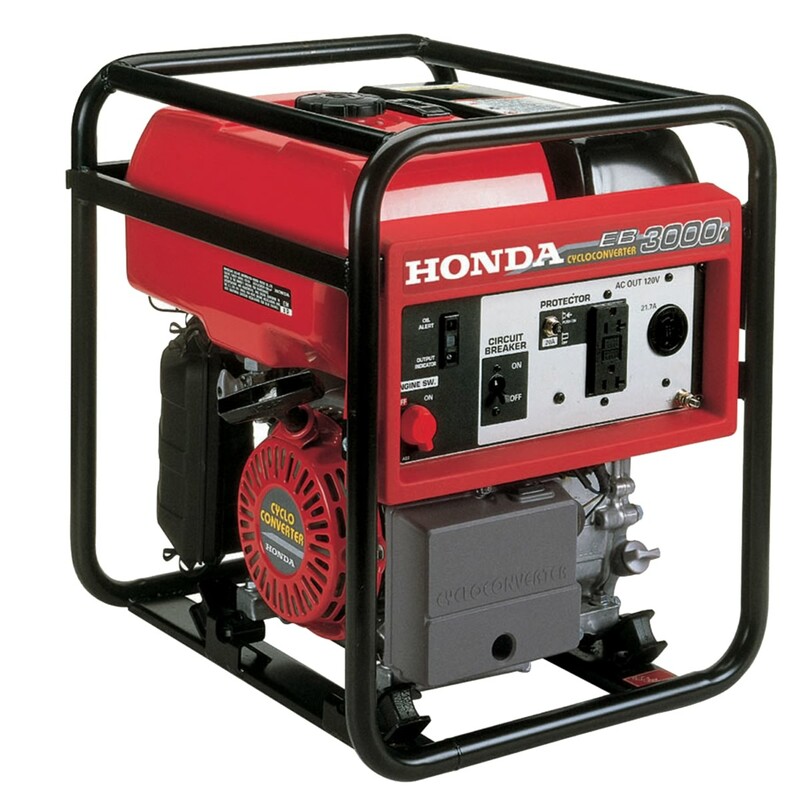 Honda’s generators can run for several hours on a tank of gas, so one full tank should be enough to keep appliances going until the power is restored or it’s safe for you to leave your home and buy more fuel. Honda’s Oil Alert system will shut down the engine to prevent it from being damaged if there isn’t enough oil, but that also means your generator won’t be able to make power. Keep some extra oil on hand and check the oil level before moving the generator out of storage. Your generator can feed into your home’s electrical system directly using a transfer switch. This device is required by law when linking a generator to home wiring because it isolates your home from the grid. Without this switch, power can enter the grid, shocking workers who are trying to repair the lines. This switch needs to be installed by a professional electrician to make sure it’s working correctly. Once installed, the generator can be moved to the switch and plugged in so it can supply electricity when the power fails. 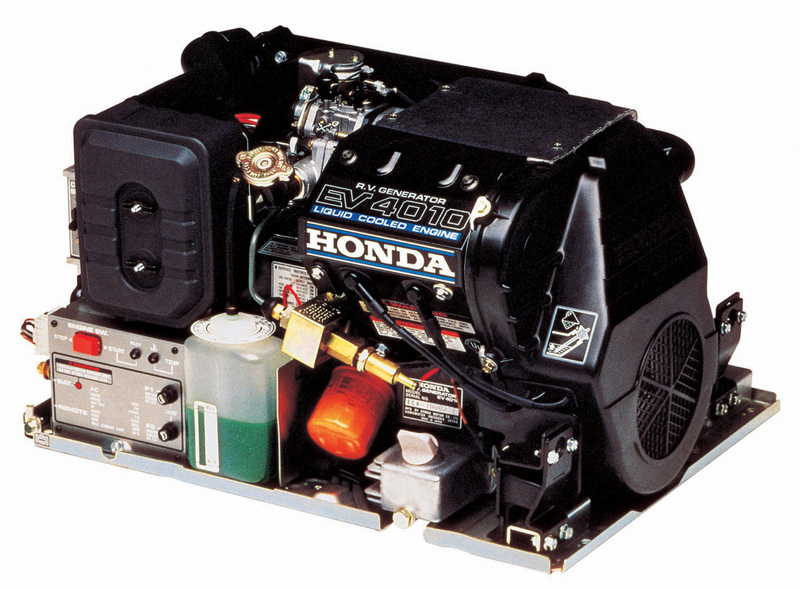 As a certified Honda small engine equipment dealer, www.hondalawnparts.com carries everything you need for your Honda equipment. 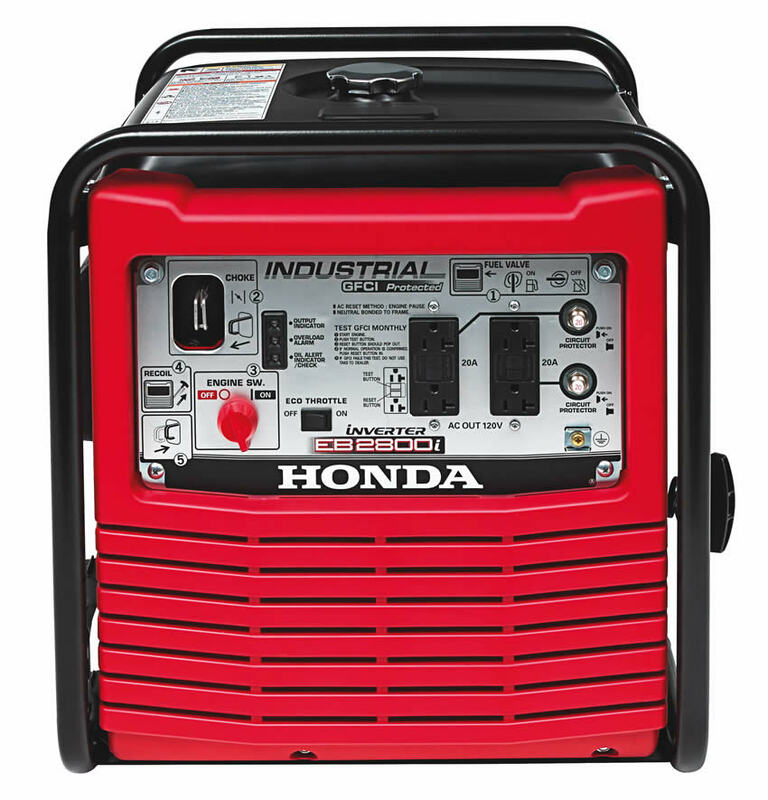 Along with replacement parts for your generator, we carry genuine Honda accessories including transfer switches and cable adapters so you can rest easy knowing you’ll be ready when storms strike. We ship across the U.S. and Canada. No matter what sport you’re into, half the fun of going to a game or a race is the tailgating. 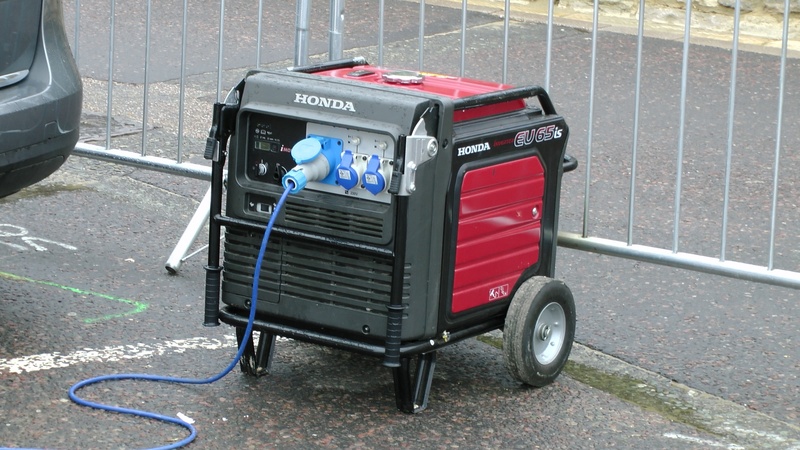 With a little preparation, a Honda generator can help you get the most out of your party by letting you watch the pre-game show on TV, outfit your mobile kitchen and keep some cold drinks on hand. Generators are rated in maximum watts for temporary loads and running watts for long term use. To get the right size generator, you need to figure out how much power you need for the devices you plan on using. Most appliances have a label clearly outlining power demands, but there are a couple things to watch out for. A heating element on an electric hot plate or a hair dryer may have the watts stated clearly on the side of the device, but this is a measurement of heat energy, not electrical energy. If there isn’t an electric label, plan on using 60% more than the stated heat wattage. Watts = Amps X Volts. If you have an appliance only rated in amps, simply multiply that number by 120 to get the watts. Electric motors are “reactive” loads, using up to three times as much power to start as they do to run. Appliances that have electric motors include air conditioners, blenders, fans, and refrigerators. Since air conditioners and refrigerators cycle on and off constantly, it’s best to have enough capacity to handle the peak load at any time. With other appliances, you can plan around this load, switching off a few things before starting them up, then switching everything back on once the appliance is running. Resistive loads like TVs and toasters always draw the same amount of current when they’re on. Are Electronics Safe to Use with a Generator? Honda generators come equipped with inverters that convert the generator’s power into a clean AC waveform that won’t damage sensitive electronics including TVs and computers. How Do I Set Up My Generator? Like any internal combustion engine, the motor in your generator makes carbon monoxide, which can be poisonous in high enough concentrations. Never place it under awnings or tents where the exhaust gasses can collect. Placing it downwind will keep the exhaust from blowing over the area you’ll be partying. Using a high amp extension cord will reduce resistance, taking a load off of your generator and the equipment connected to it. For most uses, the best route is to get a cord designed for the locking plug that ends in multiple 120v outlets. While it’s easy to get an extension cord made for outdoor use, you’ll probably end up using a few devices intended to be used only in the home. GFCI protection is built into the outlets on your generator to reduce the chance of shorts, but some extra precautions should be taken to help keep your appliances away from water. Make sure they’re kept off of the ground and have some sort of weather protection to keep them from getting wet and inspect cords for damage before plugging them in. Most Honda recreational generators are housed in a case that helps quiet engine noises. At most, the generator will make 65 dBa under full load, which is about the same as a normal speaking voice. Since the generator will be at least a few feet away from where you’ll be hanging out, the sound will be drowned out by TVs, radios, and talking. How Can I Get the Most Out of My Appliances? If you tailgate regularly, it may be worth investing in an outdoor refrigerator. These are built to keep items cool in a wide range of environments, and if they’re UL listed, they’ve undergone a series of tests to ensure they won’t short if they get wet. Likewise, outdoor TVs are built to both withstand moisture and manage heat through a wide range of temperatures, while the life of a standard TV will be shortened considerably if it gets cold or overheats. You can reduce the load that refrigerators, freezers, and refrigerated coolers put on your generator by filling them with pre-chilled food. If you have a freezer or cooler, fill any remaining space with ice to create a thermal buffer. Where Can I Get Parts to Keep My Generator Working? www.hondalawnparts.com is a certified dealer for Honda Power Equipment. We stock parts for Honda generators and the motors that power them, and we can ship those parts anywhere in the U.S. and Canada. Finding the right part is easy thanks to our advanced search system that integrates factory diagrams so you can see where the part fits on your machine.